Leeds based Sound Leisure – the world’s only manufacturer of vinyl jukeboxes – has announced that it will be returning to Victoria Leeds with a pop-up store for ten weeks. Following the success of its pop-up store earlier in the year, Sound Leisure, which is celebrating its 40th anniversary this year, will be returning to Victoria Gate, from Wednesday to January 6, 019. Having released its brand new Anniversary Long Player (LP) Jukebox on National Album Day earlier this month, the machine will make its second UK appearance to the public at the Victoria pop-up store. Chris Black, managing director at Sound Leisure, said: “We can’t wait to return to Victoria Gate on the 31st, since the huge success of our spring pop-up store we have been developing new products and concepts and can’t wait to showcase these. The machine, which had been an ambition of Sound Leisure’s founder and chairman Alan Black since 1968, holds ten LPs, with an ability to play both sides of each record. It features a four-channel amplifier which drives the five-way speaker to produce superb audio reproduction. 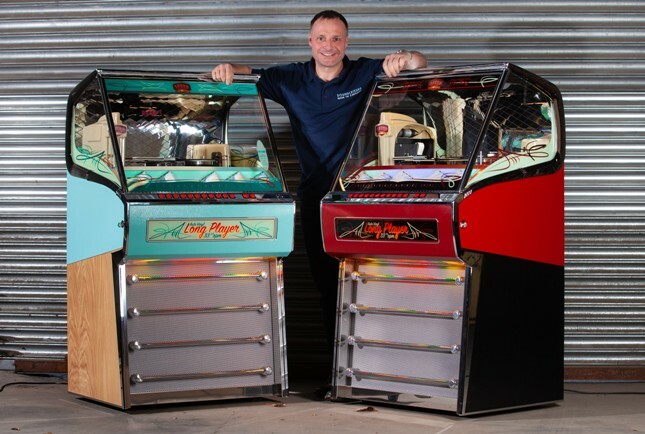 The store will also feature an array of Sound Leisure’s world-renowned jukeboxes, alongside a selection of 1940’s and 50’s petrol pumps, football tables and other unique products. Joanne Coburn, general manager at Victoria Leeds, said: “We’re really looking forward to having Sound Leisure showcase their world-famous products in Victoria Gate again, following the huge success of their pop-up store earlier this year we’re delighted to be welcoming Chris and the team back to the centre.